A battle over blood evidence is one of just two fronts on which a polo club founder is fighting his conviction for DUI manslaughter, following a second trial over a fatal accident in Wellington that killed a 23-year-old recent engineering graduate. Defense attorneys for 52-year-old John Goodman, heir to a heating-and-cooling company and founder of the polo club, argued recently before Florida’s 4th District Court of Appeal that the blood evidence against him is not reliable. Because prosecutors leaned heavily on it during his second trial, they argue a new trial should be granted. He is also appealing his retrial conviction on other technicality grounds. Further, he is asking the state to give him “credit for time served” for the 368 days he spent on house arrest while his second trial was pending. Goodman was initially arrested and tried on charges of both DUI manslaughter and vehicular homicide. He was accused of speeding in his GTC convertible while drunk, blowing through a stop sign and slamming into a Hyundai Sonata Driven by Scott Wilson. The impact sent Wilson’s vehicle upside down into a nearby canal, where the county medical examiner later determined he drowned. Goodman was convicted at his first trial, but that conviction was later overturned due to juror misconduct.The state refiled the case, but Goodman was allowed to live in his home on house arrest while awaiting trial, so long as he paid the salaries of two prison guards who were in charge of watching his every move to ensure he didn’t flee. Goodman was later convicted at his second trial, and the trial court denied his request for a third trial. However, now there are matters being considered by the 4th DCA. The blood evidence, in particular, may have the best chance of resulting in meaningful action for defendant. In Florida, anyone who has a blood-alcohol concentration of 0.08 or higher will be arrested for DUI. Here, three hours after the alleged crash, Goodman’s BAC measured 0.177, which is more than twice the legal limit. No doubt, this evidence was compelling for jurors, who were told by prosecutors that Goodman’s intoxication was a primary factor in the fatal crash. But now defense lawyers argue those blood tests aren’t viable. They say the needle with which the samples were drawn was too small, which had the potential to cause clotting which could have skewed the results. 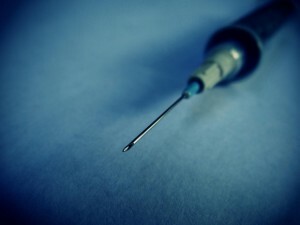 Prosecutors argued to justices the needle size didn’t matter. Defense also argued the Florida Department of Law Enforcement doesn’t have specific rules about how a needle is supposed to be used or how a tourniquet should be applied for DUI blood draws. There are also no regulations for blood analysts to follow to disregard bad samples. Labs across the state have no streamlined requirements to screen for irregularities, defense lawyers argued. One justice stated that fact made her uneasy about the reliability of the tests. Prosecutors insisted current blood collection methods are reliable and accurate. If justices with the 4th DCA were to reverse on this basis, it could have a wide-reaching affect on many other pending DUI manslaughter cases in Florida.